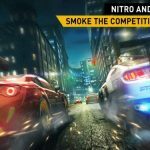 Fast & Furious Legacy, a new racing game from Kabam for Android and iOS devices, couldn’t come at a better time. 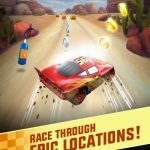 With Furious 7 scheduled to open in theaters this Easter weekend, it’s no surprise that the successful Hollywood franchise has its own official mobile game, and this one is it. 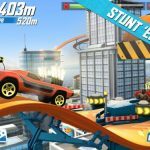 You get to build your own Fast & Furious Legacy in the game, as you take part in missions set across all seven movies in the franchise. You can drive more than 50 different cars in the game, including some of the iconic vehicles seen in previous installments, including the blazing hot Lykan Hypersport from Furious 7. There are also different race modes, including Street and Drift and myriad ways to customize your wheels. 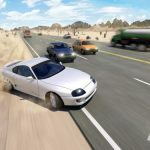 That said, here’s our share of Fast & Furious Legacy cheats, tips and hints. Getting off to a fast start could be the game-changer you need, so it goes without saying that you need to work on starting as quickly as possible until you’re able to master the art of the Perfect Launch. It may be tricky if you’ve just started playing the game, but the key is oftentimes being alert and on your toes at all times. You don’t want to blow out your transmission because you weren’t able to shift on time. This too takes some practice, but during those races where you need to shift gears perfectly, make sure you’re changing gears right before the line on the indicator hits the red area. Looks aren’t everything. Those style points you can get by customizing your car are all well and good, but in the early goings, your best bet is to go for the power upgrades. After all, the goal of Fast & Furious Legacy is to win races first and foremost, not make your car the envy of the other racers. Still, you would ultimately want to have a balanced car, so don’t focus entirely on power upgrades in the long run. Drag races aren’t the only thing you can do in Fast & Furious Legacy, as we told you earlier. There’s also Drift mode, which can be quite challenging, especially if you compare it to a straight-line drag race. So don’t be afraid to try all the race modes and try to be as proficient as you can in all of them. But that also brings us back to ensuring your car is balanced and built to win. Going back to what we said earlier, it’s all about having a well-balanced car that’s frequently upgraded. And once you’ve maxed out the upgrades for one car, feel free to move on to the next. Right before quitting the game, initiate an oil change; this will take two real-world hours, and is absolutely necessary so you can keep on playing. We did warn you about drifting, and when it comes to this race mode, you’ll get best results by keeping your car in the middle of the road and following the arrows.